A tea plantation in the mountains of the Cameron Highlands, Malaysia. But how high would you need to climb in order to boil water at the perfect temperature to prepare your brew? Walking in the hills or, if you are lucky, the mountains, we can easily be reminded that atmospheric pressure decreases with height. We just have to look at the way that the plastic water bottles we may be carrying have been crushed, or open a yoghurt pot slightly too close to our face. We may remember that the boiling point of water decreases with decreasing atmospheric pressure and so that a kettle boils more quickly at the top of a mountain than at the bottom. But how high would we need to climb to make a perfect cup of coffee with just-boiled water? And what has this to do with the reality, or not, of molecules? Although the effect appears obvious to us, it is not trivial to calculate exactly how the atmospheric pressure varies with height. To see why, we could think about what pressure is. The pressure exerted by a gas on an object is proportional to the number of gas molecules colliding with and recoiling from the object concerned. These collisions create a force on the object and pressure is just force ÷ area. So why would this change with height? Think about a layer of air with air pressure above and below it but further acted on by gravity pulling it down. What happens? Think about a layer of air. Above it, the molecules in the gas are exerting a pressure, pushing down on the air. Below it, there are molecules pushing upwards and keeping it up. But there is one more force that we need to consider: gravity. In physics, we like to think of things in equilibrium, perfectly balanced. 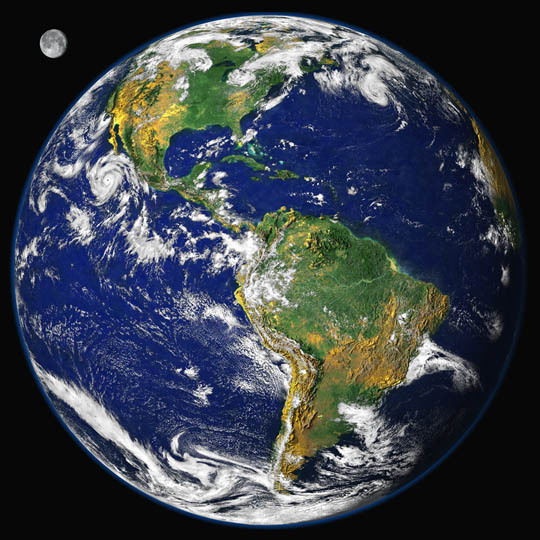 So when we think about our layer of air, the forces acting down on the layer of air (the pressure from above and the gravity of the earth) have to be perfectly compensated by the force acting up, i.e. the pressure from below. If this were not the case, the layer of air would sink. Perhaps it is starting to become clearer, why the density of the atmosphere decreases with height. The only thing that remains is to work out exactly how it does it. And while we could do the calculation here, it has (fortunately) already been done for us by a remarkable physicist called Jean Perrin back in 1910. He was remarkable not just because of the detail of his experiments but also because of the connections he made. In search of the perfect coffee. How far would you travel? Perrin realised that to calculate the balance of forces acting on our imagined layer of air, one has to assume molecules exist, just as we have done above but something that was not obvious at the turn of the 20th century. But he also realised that this calculation would be the same for any fluid containing a suspension of particles whether that was the atmosphere or a drop of water colour paint. Assuming that the molecules exist allows us, and allowed Perrin, to make quantitative predictions for the variation of pressure with height or, in Perrin’s case, the variation of the number of granules in an emulsion with depth. Perrin considered a paint pigment suspended in water under the microscope, but his theory is also valid for the (non-soluble) matter in coffee. The fact that these quantitative predictions matched so extraordinarily well with the experimental observations of thousands of water droplets containing suspended paint pigment (the poor PhD students of Jean Perrin!) went a long way to proving the existence of molecules. Hence Perrin’s book “Molecular Reality” and the ceasefire in a philosophical disagreement about whether physics should seek to understand what was happening or merely describe phenomena such as pressure (but that’s another story). Which takes us back to how to brew coffee properly. Calculating the variation of pressure with height is the first part of the problem. The second is calculating what that means for the boiling point of water, which actually is done by extrapolating from experimental data. But it does mean that we can calculate, for a small range of temperatures near 100C, the altitude at which you would need to boil a kettle for the boiling temperature to be identical with the optimum brewing temperature for your drink. 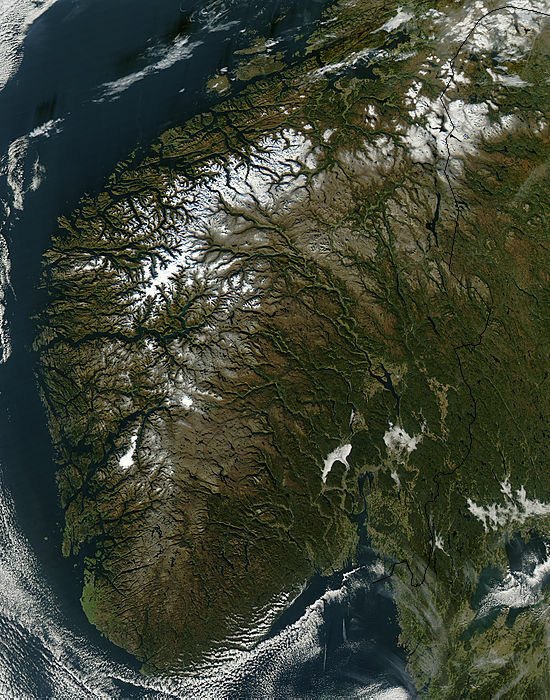 Listed below are a few recommended mountains on which you can prepare your drink of choice. I will leave it to someone else to calculate the energy saving (and hence the saving in CO2 equivalent emissions) of boiling your kettle on top of a mountain rather than in your kitchen. We’ll assume that there’s electricity on top of Mont Blanc. Pu’er tea – 93 – 100C| – why leave your living room? Last weekend, Bean Thinking turned 2. 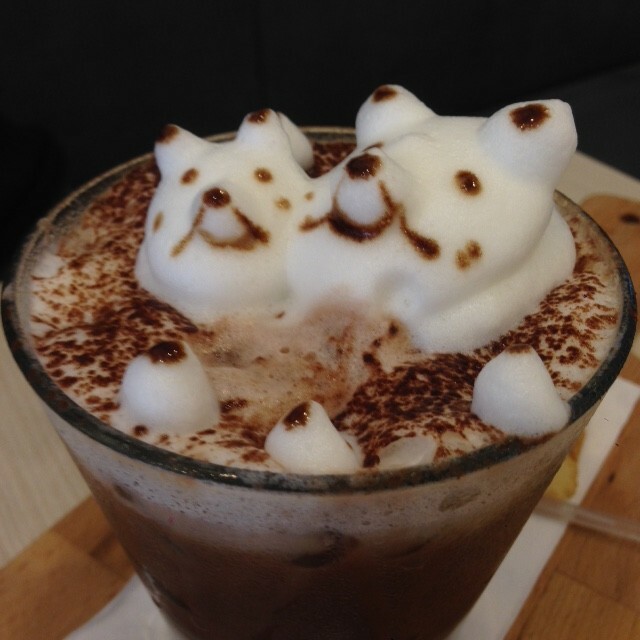 So I’ve been looking back at the cafés I’ve visited over the past two years. Bean Thinking started as a way to slow down and to try to see things in a (slightly) different way, to really enjoy the coffee but also to take time to explore the stories, and the science, that can be found in different cafés. I’ve enjoyed the coffee in each café that I have visited but, as always happens, some stick in the memory a little more than others. So I decided to pull together five cafés which, for me, had an interesting story to tell or prompted an unexpected chain of thoughts. I have sadly had to leave out some great cafés and some really fun stories (for me to think about at least). However, these five stood out. Each café introduced an unexpected bit of science to me, or had something about them that meant that slowing down and enjoying the coffee provided a really special moment. Consequently, each café features for slightly different reasons, and so rather than create a top 5 (which would be impossible anyway), I have listed them alphabetically. I hope you’ll excuse this trip down memory lane. 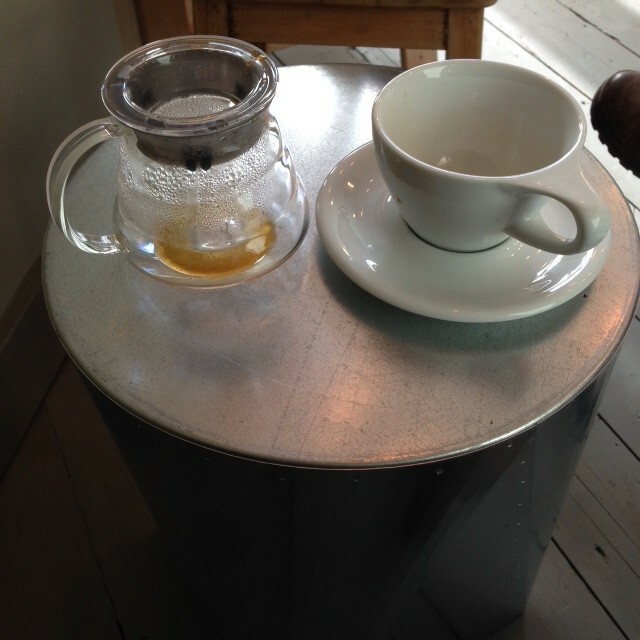 It is not every day that a well made V60 can transport you to another planet. Yet that is what happened for me at Amoret in Hammersmith. The cylindrical design of the table reminded me of a drum but the question is, why do drums make the sounds that they do? The answer to this question took me on a journey into sounds. Just how different would Bach’s famous fugue sound if played on Venus rather than Earth? And then a surreal moment as a Dutch TV station decided to take Bananarama to Venus courtesy of research conducted at Southampton University. This was all accompanied by great coffee in a very pleasant cafe, the review can be found here. Where better to slow down and appreciate the moment than a place reminiscent of the geology of the South Downs that helped Charles Darwin to argue the case for his theory of evolution. 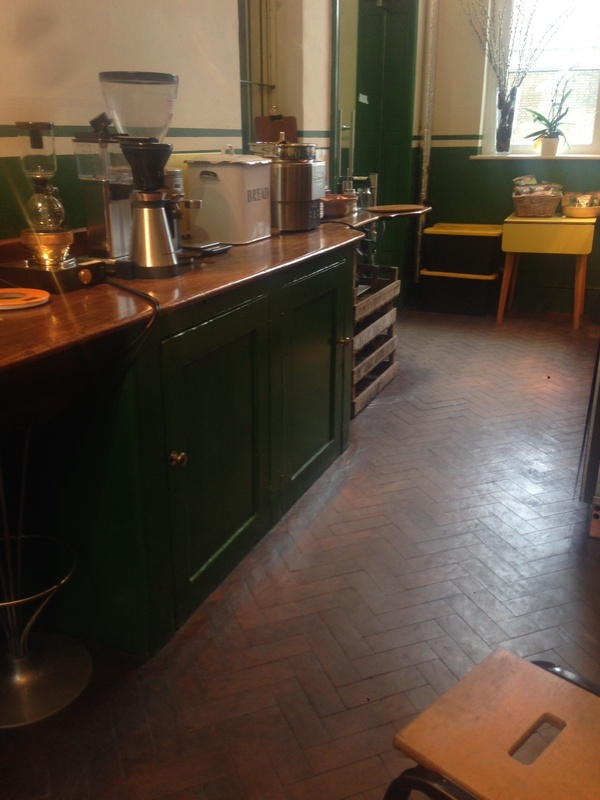 Coffee Affair occupies the old ticket office at Queenstown Road station. The fixings and the floor of the café reveal evidence of the people who inhabited this space in times past. Watching the V60 being prepared, slowly, carefully, exactly, emphasises this sense of time. The result is great coffee in a place that almost forces you to step out of the speed of modern life and stop, put down the smart phone and take time to just notice. Coffee Affair was reviewed here. 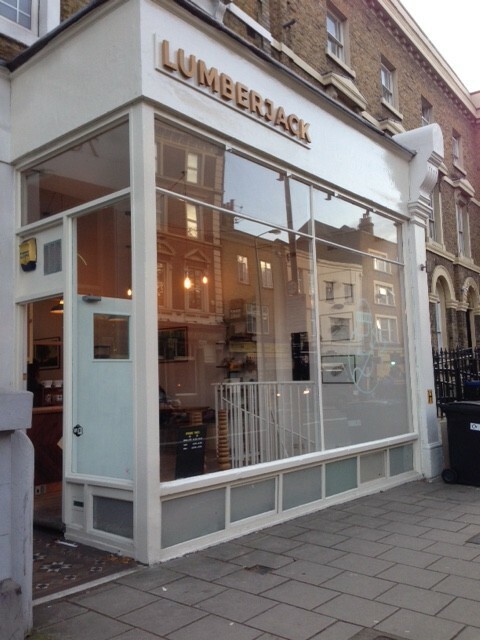 There’s a strong emphasis on keeping it local at Lumberjack in Camberwell, as well as a preoccupation with all things wooden (this being an enterprise set up with London Reclaimed). So it was interesting to discover that there was a fairly local connection between Camberwell and the ultimate ‘local’ London tree, the London Plane. Not only that, but research that had been published a few weeks before I went to review Lumberjack had shown that, surprisingly, the wind speed needed to fell a tree was fairly constant at around 56 m/s, irrespective of the size or type of tree. This surprising finding was the cherry on the cake for this ultimate in local reviews (here). Just what would happen if you put a cup of coffee on a record player? A turntable in a corner at Red Door in Greenwich meant that not only did I start to think about this question, I decided to start some experiments to find out. The resulting physics was physically as well as scientifically beautiful. The experiments can be done by anybody with equipment that you can probably find at home (though I would recommend not using an actual turntable). It turned out to be an elegant experiment involving vortices, but as Helmholtz noticed, similar vortices form in organ pipes, the atmosphere and even in electromagnetism. Truly a beautiful piece of connected physics that I would have missed had I enjoyed my coffee ‘takeaway’. More here. “The universe is in a glass of wine” so said a Greek poet according to Richard Feynman, but at the Turkish Deli it is more obvious in a cup of coffee. When made properly, Turkish coffee requires at least four minutes of ‘settling time’ before it can be enjoyed. You could use this time to think about how the concentration of coffee particles changes as a function of the depth. Similar considerations led Jean Perrin to conduct experiments back in 1910 that he declared showed that “… it becomes very difficult to deny the objective reality of molecules” (which before that point had indeed been very much denied). Now that The Turkish Deli also roast and grind their own coffee on-site, there is even more reason to visit and ponder the connectedness of our coffee and our planet. The Turkish Deli was reviewed here. With so many more cafés to explore, and things to discover, who knows what the next year or two will bring. And if you’ve got a recommendation or found a great café where you have stopped and noticed something intriguing, no matter how lateral, why not drop me an e-mail, I’d love to hear your experiences of slowing down and appreciating our coffees. 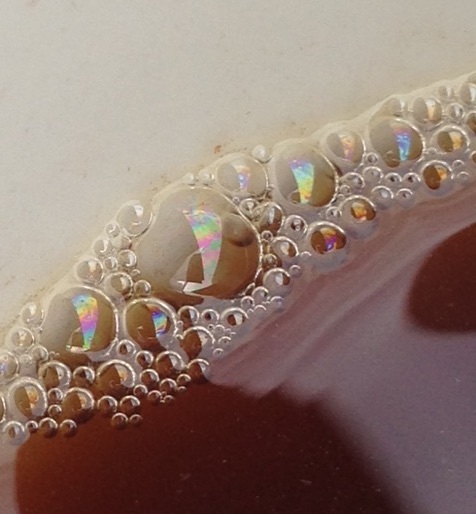 Interference patterns on bubbles in a coffee cup. In the UK Science Museum’s library there is a book, written in 1910, by Jean Perrin called “Brownian Movement and Molecular reality”. To some extent, there is nothing surprising about the book. It describes a phenomenon that occurs in your coffee cup and the author’s own attempts to understand it. Nonetheless, this little book is quite remarkable. It is perhaps hard, from our perspective in 2016, to imagine that at the time of Perrin’s work, the idea of the existence of molecules in water was still controversial. It was even debated whether it was legitimate to hypothesise the existence of molecules (which were, almost by definition, un-detectable). However, none of that is really relevant to the question confronting today’s Daily Grind. Today, the question is how can this book help us to find beauty in a coffee cup? What does a one hundred year old book have to do with finding beauty in a coffee cup? Perrin received the Nobel Prize in 1926 for his work establishing the molecular origins of Brownian motion and, associated with it, his determination of the value of Avogadro’s constant. It is perhaps why he wrote the book. (The experiment that he used to do this is described in a previous Daily Grind article that can be found here.) It is in his description though, both of the theory and the experiments involving Brownian motion that this little book is relevant for today. One word repeatedly crops up in Perrin’s description of Brownian motion. It comes up when he describes the theory. It comes up when he describes other people’s experiments. It comes up when he describes bits of the maths of the theory. The word? Beautiful*. 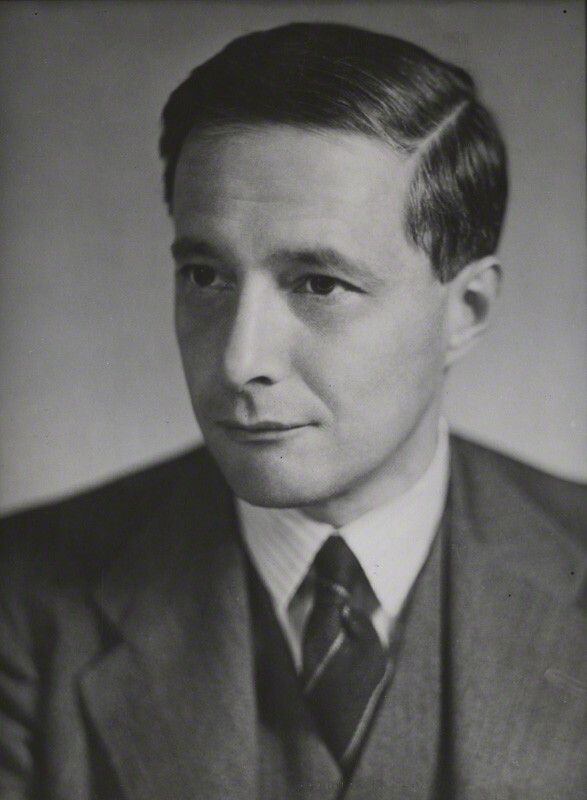 Thanks to National Portrait Gallery for use of this image. While we may recoil from this sentiment, what do we write (or expect to read) in grant applications, scientific papers, popular science or even scientific outreach? How often is the utility of a piece of research emphasised rather than its elegance? Does an appreciation of beauty help with a wider understanding of justice and environmental concerns? Could it be true that part of the motivation that we need to change our ecological habits or stimulate our search for wider social justice is enhanced by our ability to slow down and appreciate the beautiful, wherever and whenever we find it? So to return to our coffee. Is there something, anything, about our coffee or our tea that gives us such a radical de-centering experience? Can we, like Jean Perrin, appreciate the subtle beauty of the molecular interactions in our cup? Do we appreciate the moment as we prepare our brew? Or are we ideological utilitarians, seeing in our cup just another caffeine fix? * Technically, the book in the Science Museum Library is a translation of Perrin’s work by Frederick Soddy. It is possible that it is Soddy’s translation rather than Perrin’s work itself that uses the word ‘beautiful’ repeatedly. It would be interesting to read Perrin’s book in its original French. I would like to take this opportunity to say thank you to the Science Museum Library for being such a valuable resource and to the staff at the library for being so helpful. I have long had a fascination for the history of coffee and the different styles of brew. 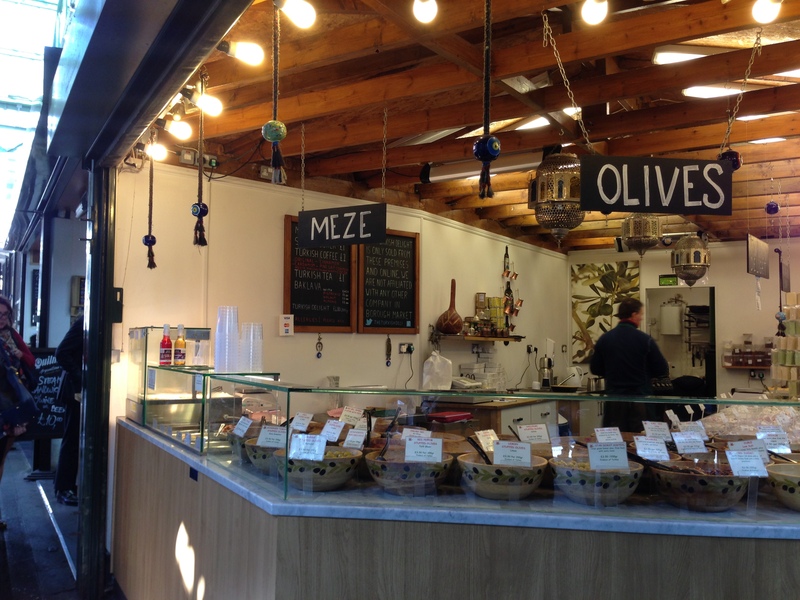 So it should be no surprise that I went to try The Turkish Deli in Borough Market for the Daily Grind. Very close to Monmouth, the Turkish Deli serves Turkish-style coffee and a delicious looking array of Turkish delights. Although quite far from the brew bars and single estate coffee types of some cafés now in London, Turkish coffee nonetheless offers the opportunity to slow down and appreciate the moment. Perhaps even more so than an espresso, since you are forced to wait for the coffee to be ready. 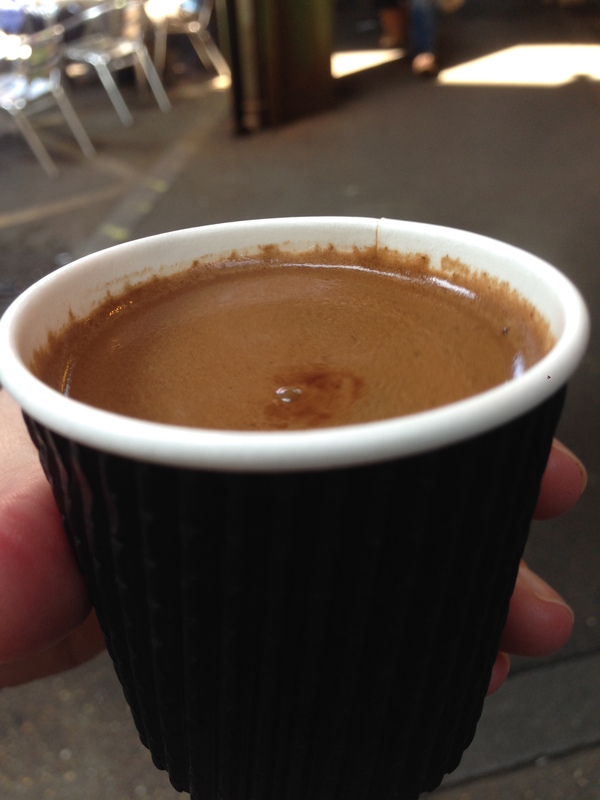 The coffee is presented to you, straight from the Ibrik, in a small cup with a fantastic looking crema on top of it. At this point you are told that you will have to let it settle for at least four minutes before even thinking about starting to drink it. Indeed, the person in front of me in the queue was advised that he could “sit down, watch the world go by” while waiting for the crema on the coffee to turn a very dark (black) colour, indicating that the coffee was finally ready. If you take sugar in your coffee you have to add it right at the start, before the coffee is warmed to the point of boiling (though it is not boiled). The reason is fairly obvious if you think about it. Turkish coffee has a large amount of sediment, this is the reason that you need to leave it for four minutes for the sediment to ‘settle’. Adding sugar during this settling time would mean that you would need to stir the coffee which would disturb the sediment and prevent it from quickly settling. Instead, you either take your coffee sugar-less or you add your sugar before starting this settling process. Jean Perrin, (author of the quote at the start of this week’s Daily Grind) used the gradient of sediment in a different liquid (gamboge – a bright yellow paint pigment) to confirm the existence of molecules, just over one hundred years ago. He was exploring Brownian motion, the seemingly random motion of bits of dust, sediment etc, on the top of the coffee cup which had been explained in terms of “molecules” in the coffee (or water, or paint), hitting the bits of dust on the surface. Jean Perrin (1870-1942), realised that if Brownian motion was being caused by molecules, they would not just be causing the movement of the dust (and sediment) on the surface, it would be a three dimensional effect. Measuring the gradient of sedimentation would be a way to prove the molecular theory of Brownian motion and, simultaneously, to prove the existence of molecules. Imagine a bit of sediment in the middle of the liquid (it could be a Turkish coffee, for Perrin it was the paint). That piece of sediment is going to be pulled down by gravity but in addition, it is going to be pushed up by molecules from below and down by molecules in layers above it. This is the bit that is related to Brownian motion. 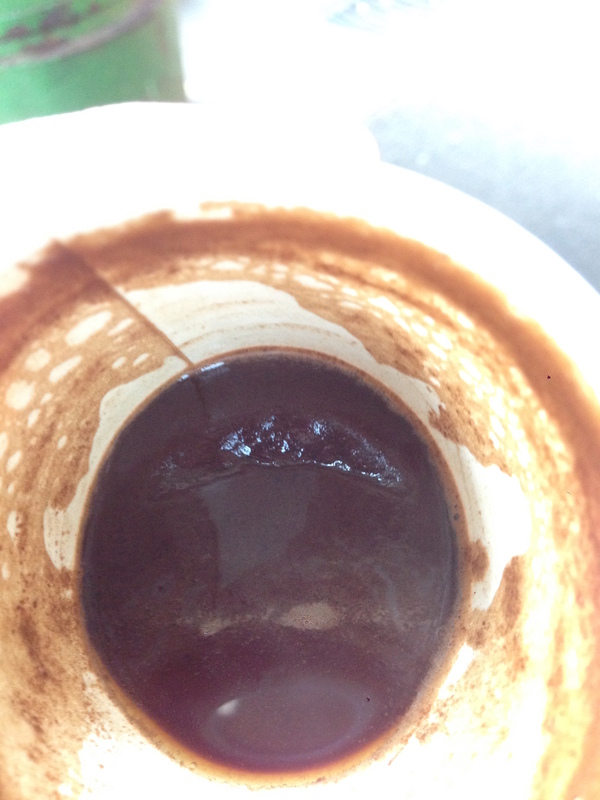 We know that even after leaving it for a long time, much of the sediment is still suspended mid-way up in the cup. It follows that the total forces acting downwards on the sediment (from gravity and the molecules above it) must be the same as the total force acting upwards (from the molecules below). This means that the mass of sediment held at any particular level in the coffee must decrease with height. If the size of each piece of sediment is identical (which was ensured by Jean Perrin in his paint but is not the case for the Turkish coffee), then the number of pieces of sediment held aloft in the coffee/paint would decrease with height from the bottom to the top. All Perrin had to do therefore was to count (with a microscope) the number of bits of sediment as a function of height in order to test whether the molecular theory for Brownian motion was correct. The sediment at the bottom of the cup, don’t drink this bit! To obtain statistics, Perrin and his assistants would count 11000 particles in one emulsion and repeat this experiment 1000s of times, but his patience paid off. By 1910, (only a few years after starting his observations), Perrin could claim that “the molecular theory of the Brownian movement can be regarded as experimentally established, and, at the same time, it becomes very difficult to deny the objective reality of molecules”. In 1926 he received the Nobel prize in recognition of this work. Returning to the coffee, it is a very good drink with which to slow down and watch the world go by, perhaps while pondering molecular reality. 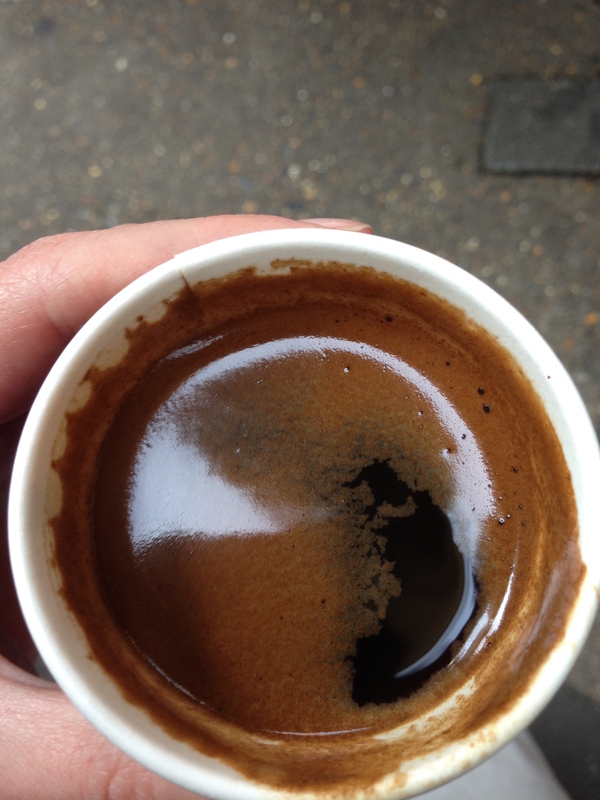 When you get towards the bottom, do not drink the sediment but do take time to appreciate the mouthfeel and flavour as you drink this beverage that, in many ways represents an early chapter in the coffee story and one that continues to be made very well at the Turkish Deli. 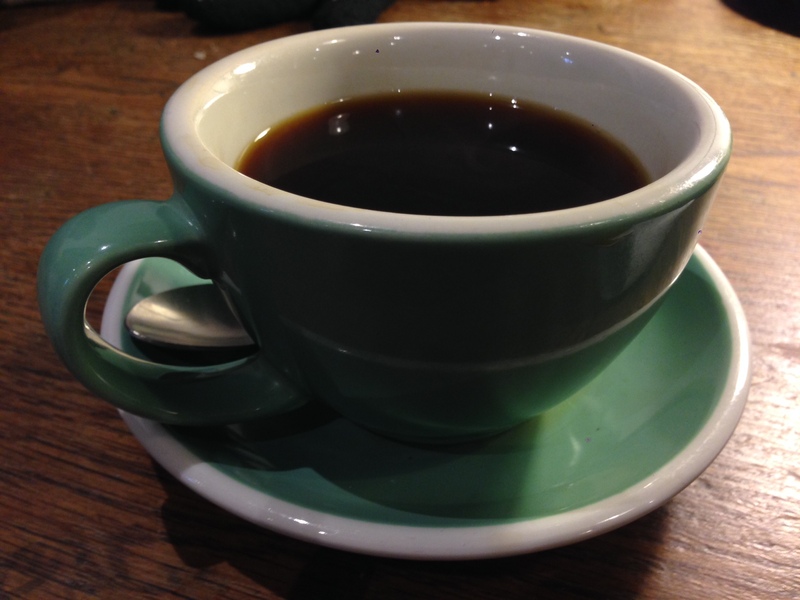 Could your coffee be used to power a perpetual motion machine? There can be no such thing as a perpetual motion machine right? Yet less than two hundred years ago it seemed possible that there could be. Not just that, the source of this perpetual motion machine was in your coffee cup. How would you explain Brownian motion? Brownian motion is the random movement of small bits of dust or coffee/tea particles on the surface of your brew. To see it, you may have to use a microscope though you should take care not to confuse Brownian motion with motion caused by convection currents. There will be Brownian movement even a long time after the coffee has got cold. What causes this continuous movement? When he observed it for the first time in 1827, Robert Brown (1773-1858) had thought it was to do with a ‘life force’. He had been observing pollen suspended in water and noticed that the pollen kept moving under his microscope lens. In 1827, this was a very reasonable explanation, after all, weren’t several people looking for a motion, a force, that gave life? 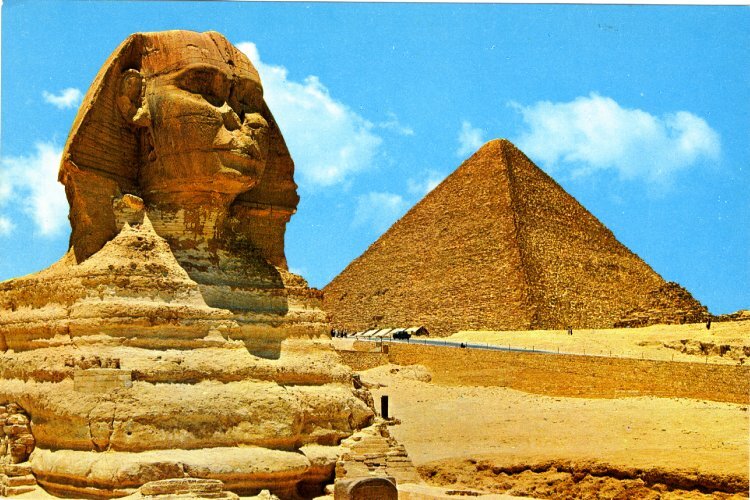 So, he checked if he saw the effect in pollen that was one hundred years old (he did) and then in truly inorganic matter, he looked at the dust from a fragment of the Sphinx. Again he saw the dust fragment move in the water. He had therefore shown that it was not associated with a life force but was something that happened for every small particle suspended in a liquid. What was driving it? Without knowing what caused it, some people in the nineteenth century had already suggested a device to exploit it, using tiny levers to carry the energy from this continuous motion into devices. Others insisted on finding out what was causing the motion but it was here that the physics of the day hit a philosophical problem. It was proposed that molecules in the water could be hitting the dust on the surface and moving the dust in seemingly random directions. And yet there is a problem with this explanation. At that time there was no way of seeing or measuring molecules. How could physics postulate a theory – or suggest a reality – that could not be tested? The consequences for our world have been profound. The mathematics that describes Brownian motion is that which we use as the basis to predict the movements of the stock exchange. Extensions of the mathematics have been used to develop new areas of mathematics such as fractals. Even art has grasped the theory of Brownian motion, the Anthony Gormley sculpture “Quantum Cloud” is based on mathematics describing Brownian motion. 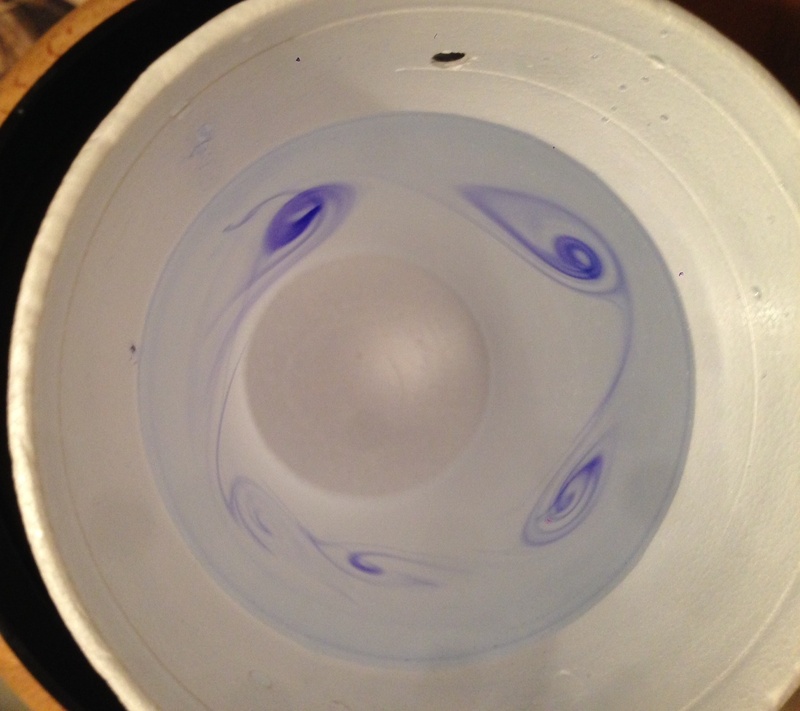 Everywhere you look there are phenomena described by the movements in your coffee cup. What we have yet to do is find that perpetual motion machine.